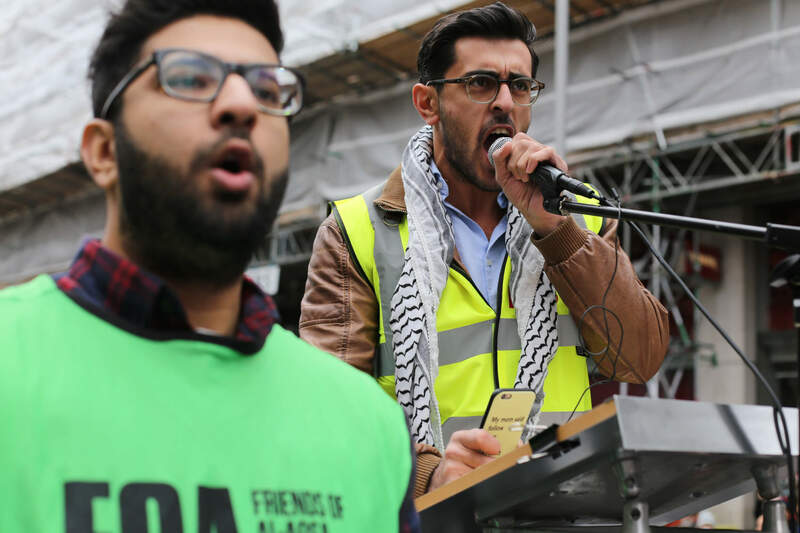 Around 2,500 men, women and children attended a demonstration outside London’s Israeli embassy on Saturday, as part of an International Wave of Solidarity for Palestine, called for by the Palestinian Boycott, Divestment and Sanctions (BDS) movement. Since 1 October, 41 Palestinians have been killed by Israeli soldiers and settlers and over 1,600 injured. Palestinians across the occupied West Bank, Gaza, East Jerusalem and Israel are participating in mass demonstrations to stand against 67 years of occupation, oppression and ethnic cleansing. The ‘Oslo generation’ of young male and female protesters is inspiring solidarity efforts around the world. 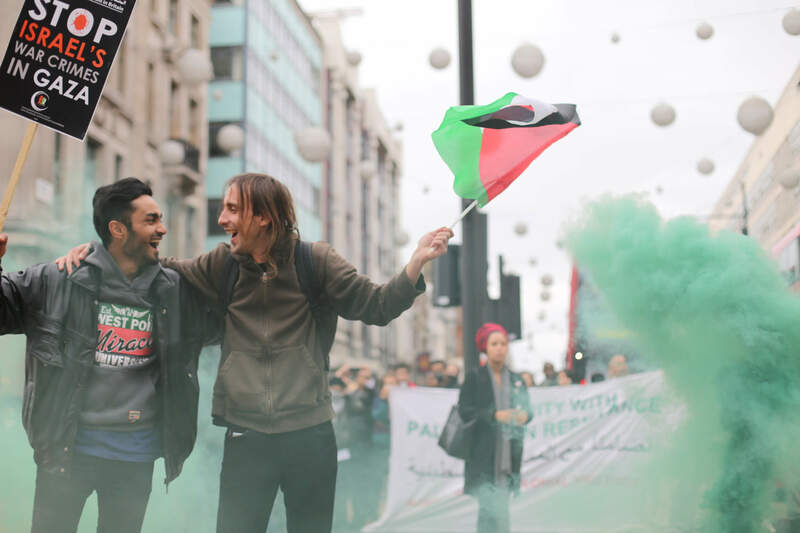 After the confines of the organized demonstration where police and stewards squashed protesters into a small area, direct action group London Palestine Action coordinated acts of creative dissidence in central London. 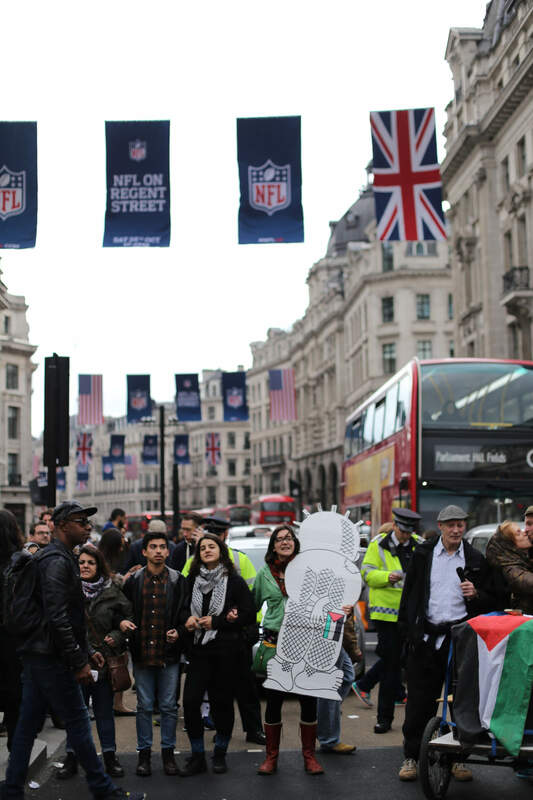 Around 150 people stopped traffic in Oxford Street – London’s busiest shopping street – before forming a human chain in Oxford Circus and marching to the BBC headquarters to protest against biased media coverage of Palestine. 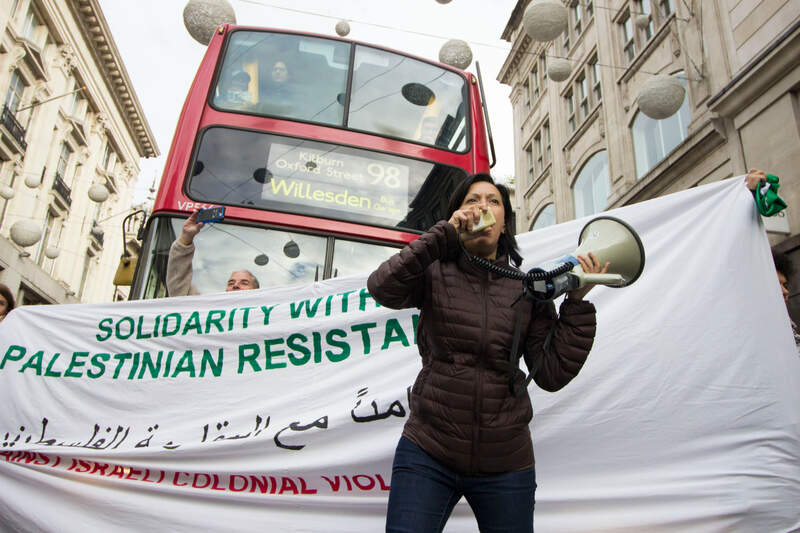 In front of London’s double-decker buses, Palestinian performance poet and activist, Rafeef Ziadah, warned companies such as G4S and Elbit systems, an Israeli weapons company and a previous target of London Palestine Action, to stop arming the Israeli government. “The games are over and the Boycott, Divestment and Sanctions movement is going to shut you down!” roared Ziadah, to loud applause. Creative dissidence is one of the most “in your face forms of action,” says Sara, media spokesperson for London Palestine Action. The group believes that the publicity puts companies supporting the Israeli occupation under the limelight. As actions often result in a loss of profit, this also provides an incentive for the companies to divest or end their contracts with the Israeli government. Sara Anna is a photographer and documentary filmmaker and Lydia Noon is a freelance journalist. Other posts by Sara Anna and Lydia Noon. Great to see this and hopefully it is the start of something bigger and more widespread throughout the UK and Europe. Judging by the increase in overt brutality by the Zionist scum currently running the show in Israel and the occupied territories, the complicity of the US and the cowardice of the EU and European governments in failing to take any meaningful action , the only way forward is BDS and mass demonstrations. I hope that the BDS movement can crank up it`s campaign and would suggest an increased focus on sporting events and Israeli participation in international sporting events. BDS should directly address national and international sport government bodies over their complicity in allowing representatives of an apartheid nation to participate in their events. A good starter would be online appeals to the growing world wide running community to distance itself from Israel and Israeli Athletics eg a call to boycott next year`s Jerusalem Apartheid Marathon and any and other race events or triathlon type events in the country. Yes innocent and undeserving Israeli Jews and Palestinians will suffer and be deprived as a result of these actions but such also was the case with South African apartheid. Absolutely with you Ossinev. I just wish I lived nearer to London at times like this. Sadly the situation in I/P is so much worse than it was in SA, and, as I have pointed out previously, whilst BDS was important in SA there were also important military/armed contributions. Of course the latter meant sacrifice of life for some such as the brother of a friend of mine who chose the ‘terrorist’ path. Unless something dramatic happens soon to remove support for the heinous regime in Israel, on an international governmental level as you suggest above, I can only see more and more bloodshed. Israel is surely about to reap the whirlwind and yet more innocents will also die. So much for the security promised by the thieving oppressor racists in charge of Israel. Of course many thanks to the reporters Sara Anna and Lydia Noon for the article. Come on UK lets show the way!! In my area of USA there has been no coverage of these demonstrations at all on the main stream TV cable news & infotainment shows. Hundreds of Madrid residents took to the streets a few days ago to show their solidarity with Israel. Also in Rome. 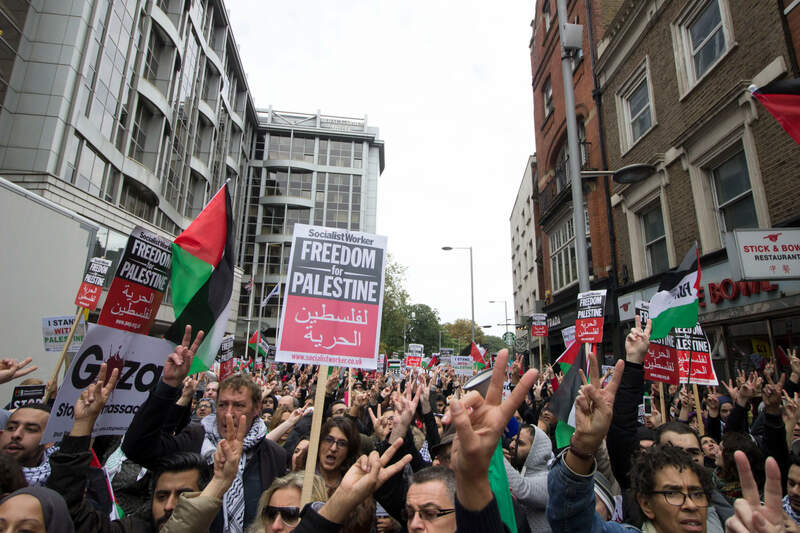 Those demonstrations had much less propaganda than anti-Israel demonstrations. Viva Espana and Italia! in a city of over 3 million people this is not surprising. it would be the equivalent of 80 people showing up in san francisco in support of israel. Annie, thank you for your link and comment — The truth is that more and more anti -Israel sentiment is being expressed (without much conflation with anti-semitism, due to the increasing, so important, part being played by members of Jewish communities). 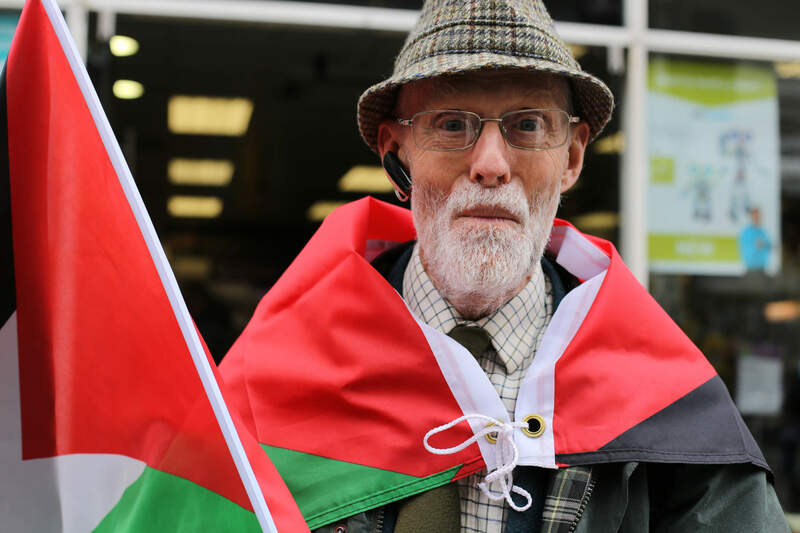 Your link points out the placards with ‘Yo estoy con Israel’ but zionistas are only dreaming if they think that there would be less placards with ‘Yo estoy en contra de Israel’ – ‘I am against Israel’ in rival demos. Only a hateful and immoral idiot would celebrate a show of support for oppression, colonialism and supremacism. Not funny at all. Yup. Tried to get my head round this at least three times and counting. On the face of it it seems like a”balanced” statement however I think it has more likely been a DIY amendment to a Hasbara manual staple which has spun out of control and flopped on its side rather like a robot which has run out of battery power. demonstrations had”propaganda” but that the Pro-Israel ones had”less”. If so can you give me an idea of notional percentages . And to really put me out of my misery would you please define what you mean by “propaganda” in both instances and give examples from each of the demonstrations. It is a pity that the number weren’t 25,000 rather than 2,500; and that I couldn’t participate. 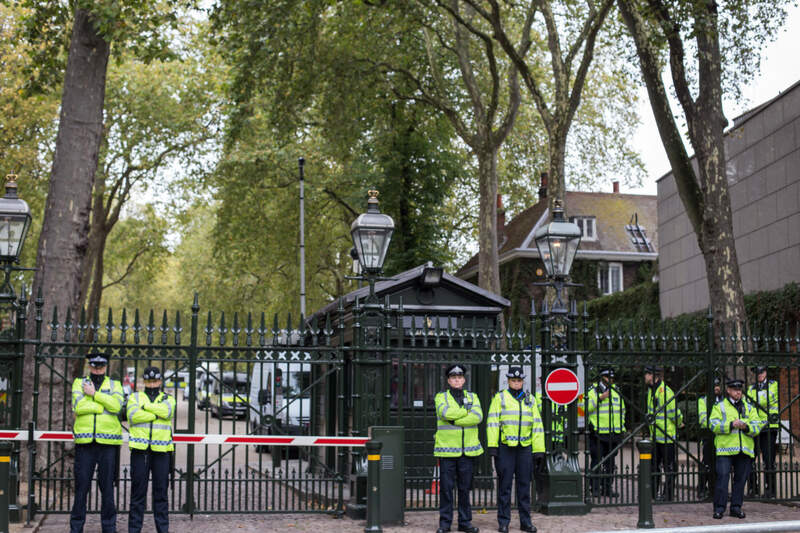 A good, “Welcome to Britain,” however, for that nice Ambassador Regev. Listening today after dinner to Mileikowsky spinning his, “We only want to preserve the status quo [at the Noble Sanctuary]…” line in his joint press appearance with Ban Ki-Moon, I had to switch the TV news off as it was interfering with my digestion. A few posters showing the shrinking map of Palestine should have been flashed around. It would have been a great welcome for Lying Regev. Hey Rashers2, nice to see you again using that truly ancient Jewish name of Mileikowsky to correctly refer to the king of muppets and at least it is more respectful than Nuttyyahoo. Rodneywatts, the reasons I call him “Mileikowsky” are: a) it is his family name; b) the adopted name means “Gift from God” and, even as an agnostic myself, Mileikowsky’s conduct makes acquiescing in such a conceit difficult for me; and c) it may serve to remind any who reflect on the usage that he (in common with the great majority of Ashkenazim colonists) has few genuine, Levantine pretensions but that his heritage is solidly European. Join the Mondoweiss mailing list! Get Mondoweiss delivered to your inbox. There two ways to get Mondoweiss delivered directly to your inbox! Sign up for a daily digest of every story we publish or a weekly collection of highlights picked by Mondoweiss staff. When my book ‘Searching Jenin‘ was published soon after the Israeli massacre in the Jenin refugee camp in 2002, I was quizzed repeatedly by the media and many readers for conferring the word ‘massacre’ on what Israel has depicted as a legitimate battle against camp-based ‘terrorists’. Mazin Qumsiyeh describes what is happening in Palestine as the ’14th Intifada’. He should know best, for he authored the outstanding book, Popular Resistance in Palestine: A History of Hope and Empowerment. However, I would go even further and suggest that there have been many more intifadas, if one is to use definitions that are relevant to the popular discourse of the Palestinians themselves. 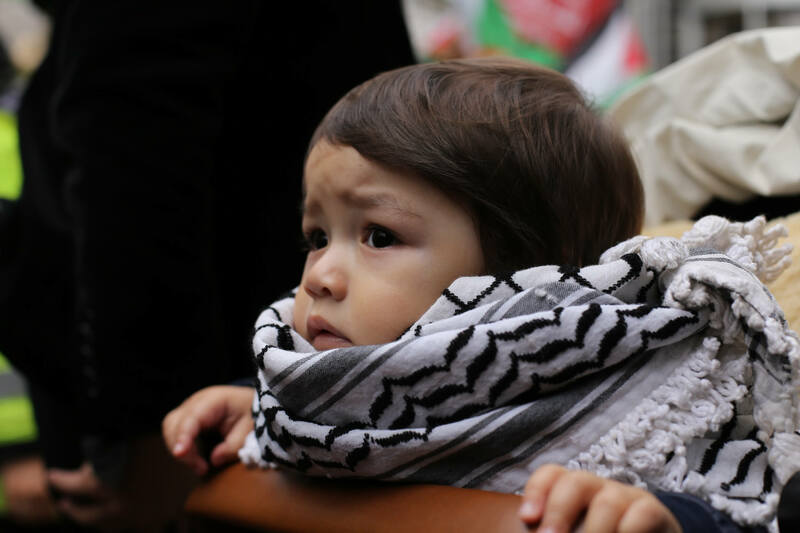 Intifadas – shaking off – become such when Palestinian communities mobilise across Palestine, unifying beyond factional and political agendas and carry out a sustained campaign of protests, civil disobedience and other forms of grassroots resistance. 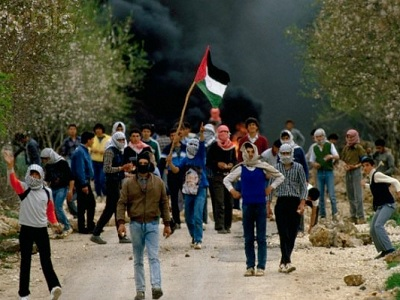 T The issue of the moment is the question of an impending third intifada. Are the events taking place in Jerusalem and the West Bank heading towards another Palestinian uprising? What are the opportunities and the possibilities? What are the obstacles and the challenges? Who is working to prevent this from happening and who is working towards encouraging such an eventuality? The truth is that the Palestinian situation, especially in the occupied West Bank, has become more complicated and this reality has prevented us from finding any straightforward or easy answers; in any case and under any conditions it would be a mistake to underestimate the possibility of events unfolding where there will be a third intifada. 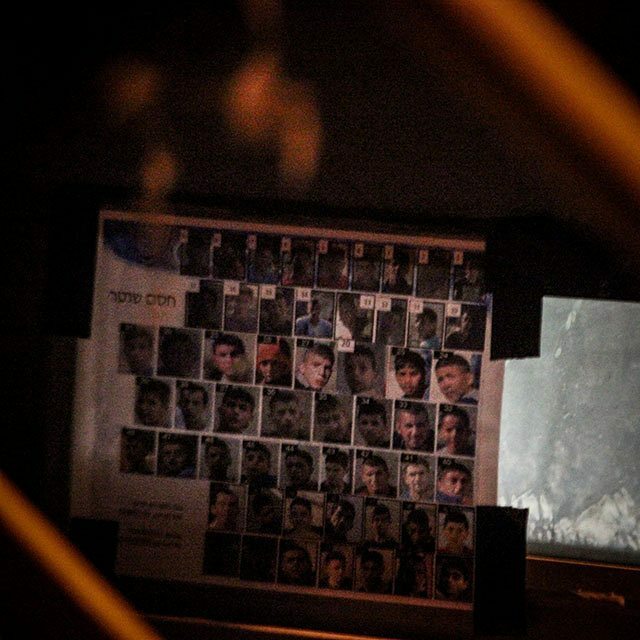 There are many factors contributing to the outbreak of an uprising in the occupied territories and these are currently restrained by a low ceiling. The Palestinians have many reasons to break through this ceiling and head for the streets in protest. Israel has closed every window of hope for the Palestinian people; there are currently no portals leading to a brighter future. All the pathways to freedom and independence for a viable future state have been blocked. This does not stop at the growing expansion of the settlements or the daily violations of Al-Aqsa Mosque, or the siege imposed on Gaza; in truth, it goes beyond all of that. There is very little left for the average Palestinian to lose. In addition, there is the bloodshed that has occurred in light of Palestinian division and the absence of national unity. This requires a new strategy because the cause has been abandoned and this reality is among many factors causing the average Palestinian to feel as though he has nothing left for himself. Many have come to realise that they must take matters into their own hands and demand that their voices are heard and that their rights are given to them in the face of all these closed doors and pathways. The question of Jerusalem and the rights of its citizens, as well as its sanctity in both the Muslim and Christian traditions, has been transformed – because of the Hashemite Kingdom’s sponsorship – into not only into a bone of contention between the Palestinians and the Israelis but also between the Israelis and the Jordanians. Palestinian Jerusalemites have been ringing alarm bells time and time again in the past few months, and are doing so today, but the city has been demarcated and divided between occupation forces and settlers on one side and the Palestinians on the other. Even so, this does not mean that we are headed towards an intifada, for the question at hand is far more complicated than this. We have gone through many points before and any one of them could have been an indication of another uprising, but it did not take place. Our expectations have exceeded far beyond this with three wars in Gaza, human rights violations and abuse of Palestinian Jerusalemites in Al-Aqsa, all of which have failed to ignite the fuse. Indeed, Israel’s brutal, lawless ways have become the norm for Palestinians in their everyday West Bank life. However, recent events have affected the way in which we have started to interpret the effects that the Israeli occupation has on Palestinian life and human rights. We are now in search of a new social and political structure that will enable us to combat the security apparatus, although the catalyst for this was the fateful broadcast of a tape showing Israeli policemen severely beating a boy from Bethlehem a few weeks ago. Yet, with all of these factors there are still those who believe that the current violence taking place in Jerusalem and the aggression taken out on Al-Aqsa is different to that which we have seen in the past and that the third intifada is undoubtedly on its way. Is this the case? I believe that there are visible differences between how things are taking place this time around in comparison to the previous rounds of violence; the responses of the people in Jerusalem and those in the West Bank differ, for a start. The current public mood is tense, especially within the upper ranks of Fatah, but Palestinian President Mahmoud Abbas did not flick any switches in his recent speech at the UN, although he did shake up Israel’s sense of security by threatening to detonate a metaphorical bomb. Moreover, Israel’s arrogance may be the straw that breaks the camel’s back since Abbas has made no promises to keep the lid on popular anger for much longer. All of the tension that currently exists indicates that there is in fact an impending uprising on the horizon and that the chances for confrontation may reach a peak as chaos continues to define this political game. In light of the ongoing division between the two main Palestinian factions and the sense of fear that has overtaken both parties, there is no doubt that a dark period awaits us. Fatah is not comfortable with the escalation in confrontation that Hamas has been promising the West Bank, especially at a point when many agreements are contingent upon a longstanding ceasefire in the Gaza Strip. It seems as though the leadership in Ramallah has considered the Hamas call for resistance in the West Bank to be a veiled threat to the Palestinian Authority under the pretext of standing up to the occupation. In short, Fatah believes that Hamas is planning a coup after which the latter will gain control of both Palestinian territories. Yes, it is true that the president of the Palestinian Authority stood in New York and declared that it is no longer obligated to abide by the Oslo agreement, and that there is also a threat to dissolve the PA itself and thus bring an end to security coordination with Israel, but Abbas has yet to carry out his threats. This has more to do with the PA’s delusional outlook that there is still room for negotiations and a two state solution. Even as it waves its last playing card in the air, the PA does so under the false assumption that there will be regional and international initiatives that will change the status quo. For all the reasons mentioned above it seems as though a third intifada is a possible scenario but it’s not the only one. There are many others that we must not underestimate. It is as if there are initiatives taking place to create a sense of calm between Israel and Palestine and to achieve economic peace and stability as well as a long-term ceasefire in Gaza. The goal is to buy more time in an effort to prevent a comprehensive explosion. As for the two state solution, it is no longer going to be the pacifier that satisfies the Palestinian people’s emotions, as many now believe that this option is a thing of the past and is no longer viable.